At least 35 people die and 450 are seriously injured on our roads every week. It is estimated that between one-quarter and one-third of reported road casualties involve someone who is driving, riding or using the road for work purposes. 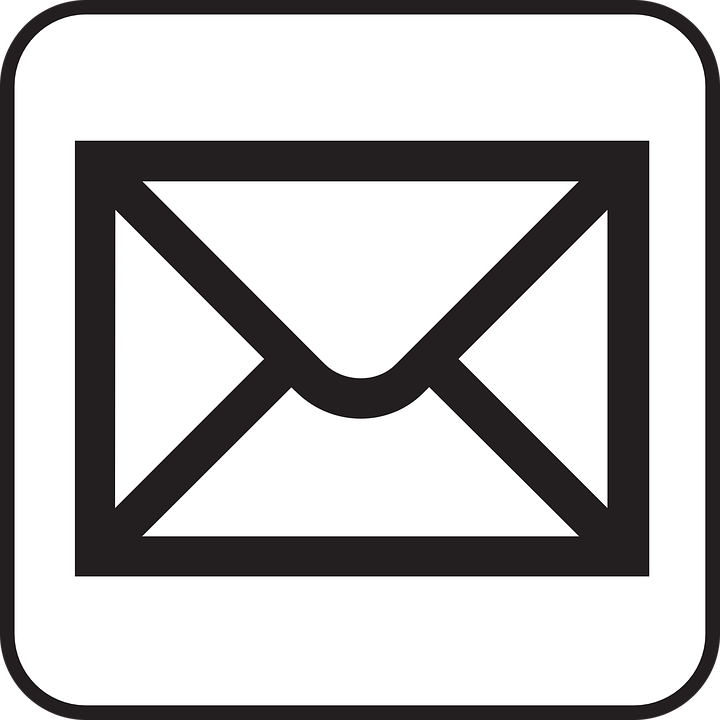 For organisations, every collision has obvious costs, such as lost working days, repair bills, third-party damages, increased insurance premiums, missed deliveries and rescheduled appointments. In the event of a more serious collision involving death or serious injury, the human cost is immeasurable; lives cannot be replaced. If a collision is linked to management failure, employers can be prosecuted under health and safety legislation. Considering that charges of manslaughter can (and have been) implemented, there’s a very good business case for taking concerted steps to manage the risks associated with driving for work. eDriving’s patented closed-loop programme, Mentor by eDrivingSM revolutionises fleet risk management by providing behavioural insights and actionable intelligence to help organisations build a holistic view of driver risk. eDriving’s patented closed-loop programme, Mentor by eDrivingSM revolutionises fleet risk management by providing behavioural insights and actionable intelligence to help organisations build a holistic view of driver risk within a company-wide crash-free culture. Mentor’s state-of-the-art platform integrates data from telematics, collisions, incidents, and licence checks to provide a complete 360-degree view of driver risk. It also provides managers with tools to reduce risk and sustain driver behaviour improvements over time. The result is reduced collisions, injuries, license endorsements and total cost of ownership. And, most importantly, the assurance that drivers return home safely to their loved ones at the end of each day. 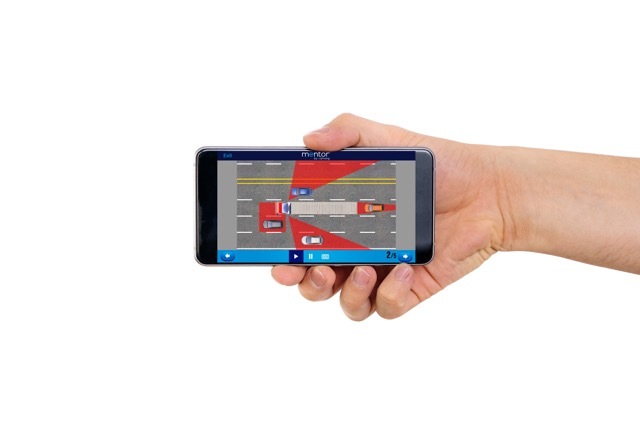 At the heart of the MentorSM program is an innovative telematics-based app that uses smartphone sensors to collect and analyse driver behaviours most predictive of risk including acceleration, braking, cornering, speeding, and uniquely, distraction. Because Mentor moves with the driver and requires no hardware installation, it has broad appeal across types of drivers, vehicles (motorcycles/two-wheelers, cars, trucks, and vans), applications (service, sales, and delivery fleets of all sizes), and location (currently available in 14 languages with both right-hand drive and left-hand drive training modules). As a result of eDriving’s partnership with predictive analytics and data science pioneer FICO®, drivers are awarded an individual score that enables both drivers and managers to see positive and negative trends in performance. Poised to become the industry standard for safe driving, the FICO® Safe Driving Score has been independently validated to predict the likelihood of a driver being involved in a crash or incident. 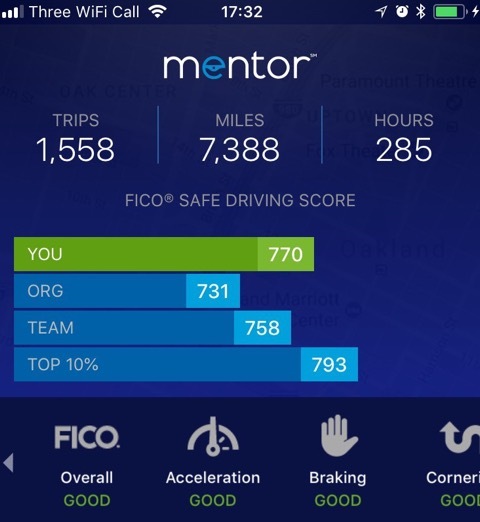 Mentor’s gamification features, such as Circles (personal groups for sharing scores), promote engagement and friendly competition among drivers, while its unique closed-loop training makes it the only safe driving programme that goes beyond scoring to focus on improving performance. Short, engaging training modules are automatically prescribed in-app for users to view any time, any place, employing a customised continuous improvement model for lasting risk reduction. We’re the choice of industry leaders worldwide… Why not you?